If you haven't read a book by Ashley Hope Pérez, you are missing a unique and empowering voice in young adult fiction. 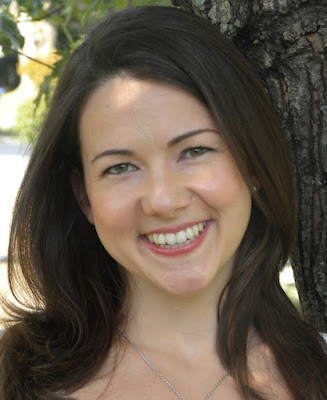 The author's work for Teach for America Corps inspired her debut novel, What Can't Wait. Her gritty sophomore novel, The Knife and The Butterfly, explored the consequences of gang violence. Pérez's third novel, Out of Darkness features a clandestine romance which dares to cross the racial divide of 1930's Texas. Inspired by the most deadly school disaster in American history, this provocative novel gives voice to those whose voices were silenced and whose histories were unjustly revised. Following my review, the author explains why she chose to write this historical novel. In Out of Darkness seventeen-year-old Naomi moves with her half siblings to her stepfather's new home in an oil drilling settlement town. When their Mexican-American mother died in childbirth seven years earlier, Naomi became the surrogate mother to the twins. Now Naomi must balance the demands of being the only Mexican-American at her high school with keeping house for her Caucasian stepfather, whom she despises. A sign at the town diner: "No Negroes, Mexican or dogs." "It was getting late, but time seemed to stretch like taffy. The pines stood out dark against the pinks and oranges creeping across the sky, and a breeze stirred around her. She found herself walking to their spot at the river. It was not a usual meeting time for them, but she couldn't help hoping." 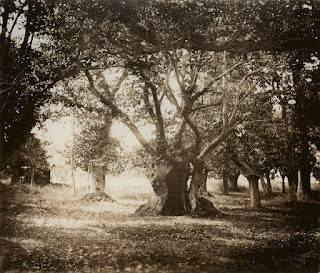 The East Texas woods of the author's childhood, which feature in the narrative. After an explosive and confusing start, the narrative down-shifts to an unrushed pace, building tension slowly and allowing for in depth character development. The chapters are told from multiple points of view: Naomi, her Born Again stepfather, her seven-year-old half brother and her boyfriend Wash. Their star-crossed romance is realistically rendered with adolescent lust and idealistic love. The pace accelerates to a page-turner ending that left me stunned and shattered. Although this tragic story was set in the 1930s, the central theme of racism vs. the power of love still feels relevant today. Out of Darkness could have been published as literary historical fiction for adults. Since this novel includes sexual abuse, pedophilia and graphic violence, I would only recommend it to mature teens and to adults who aren't afraid to explore the dark side of human nature. Both Kirkus Reviews and School Library Journal gave this soon to be released book starred reviews. 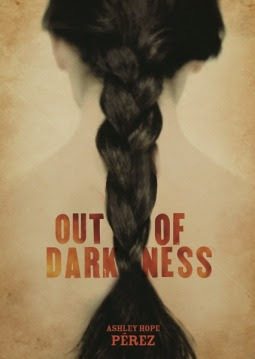 Out of Darkness is Pérez's strongest young adult novel so far and shows a maturity of voice, technique and vision. I look forward to reading more of her work. Since What Can’t Wait and The Knife and the Butterfly explore the lives of contemporary Latina/o teenagers, it may surprise readers to learn that my third novel, Out of Darkness, is set in 1937 and takes a historical event--the school explosion in New London, Texas—as a backdrop for the story. In fact, though, Out of Darkness extends my interest in untold stories by excavating experiences from the margins of history in the part of Texas where I grew up. The woods of Naomi and Wash’s secret meetings are the woods of my childhood, and the memorial to the victims of the 1937 New London school explosion was part of the landscape I saw when I rode to work with my father during the summer. Even then, I knew something terrible had happened to the schoolchildren in New London, but I didn’t understand the magnitude of the disaster. 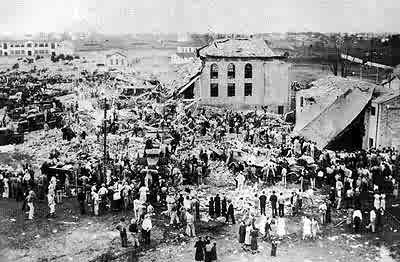 The New London school explosion killed one in four of the town’s white children for a death toll of nearly three hundred. Unsurprisingly, the impact of the school disaster on the white community has been the focus of all existing accounts. From the start of my research, though, I knew I wanted to explore what the event might have meant for others, especially people of color. In 1937, the Depression still had most of the U.S. in a chokehold. But thanks to revenues from oil extraction, the New London school had extraordinary resources: chemistry labs, foreign language classes, band uniforms and instruments for all children, suites of sewing machines for home economics, and the first electric lights on a high school football stadium. Some newspapers called New London’s school “the richest rural school in America,” and I wondered what it would have been like to behold that bounty from the outside, to have one’s children spared from the explosion because they hadn’t been allowed into the school in the first place. This was the situation, of course, for the African American community, whose children were required to attend a grossly under-resourced “colored” school in the area. While there are remarkable and redemptive aspects to life and community in New London as I portray it in my Out of Darkness, the novel also sheds a stark light on the myriad expressions of racism in segregated communities. The novel is tragic, but it also gives readers the chance to see what novelist Sharon Flake describes as “hope in hard places.” Out of Darkness lends urgency to our continued work for a better, more just future where all kinds of love can take root. Reviewer's Disclosure: the author offered me a free digital galley via netgalley so that I could participate in the book's blog tour; I was not compensated for my review. At my request, Pérez explained why she chose to write an historical novel after two contemporary novels. Photos were supplied by the author. Carolrhoda Lab will release Out of Darkness in hardcover on September 1, 2015. For more of my reviews of Pérez's books, follow the links in the opening paragraph. I took this unfiltered DSLR photograph while dining outside Estes Lobster House at sunset. 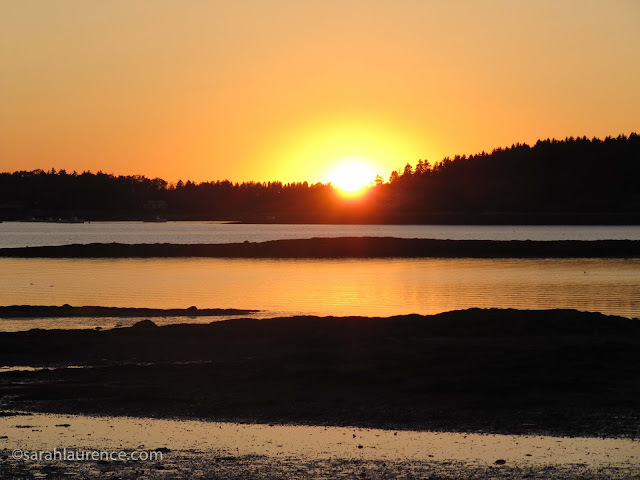 I'm taking a two week blog vacation to spend time with my family. Next post Wednesday August 26th.